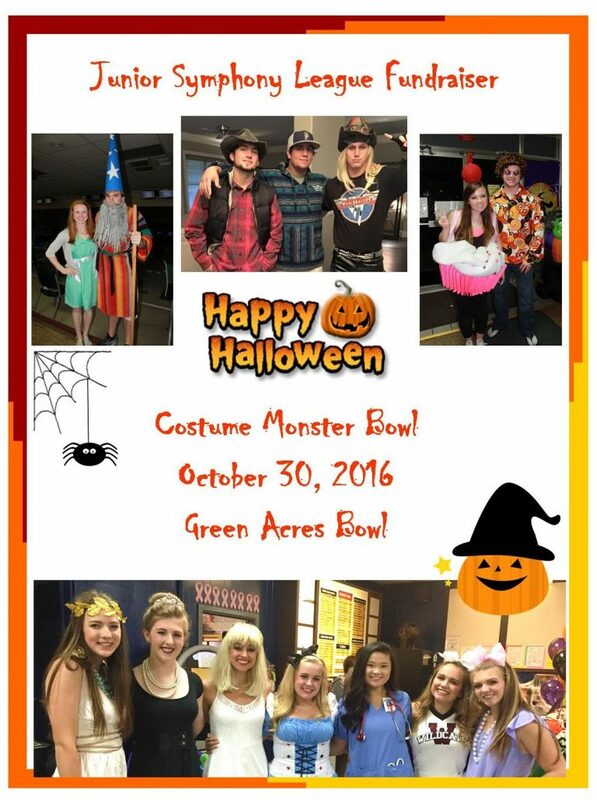 The JSL Monster Bowl is a fun event for the Junior Symphony League students as well as a fundraiser. Students raise monies from their friends and family and participate in a fun game of bowling. The date of the event is normally the Sunday evening prior to Halloween. Be sure and check with the current JSL calendar.